Uttara Phalguni is a star of compassion and friendship. People born under the star are self-reliant, independent and attempt to create their own path in society. 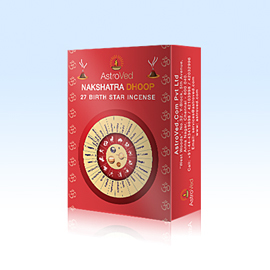 Uttara Phalguni born can connect daily with the energy of their Nakshatra or Birthstar through their personal Nakshatra Incense. This incense is formulated with specific herbs mentioned in the Ancient Vedic texts and is sacred to their Birthstar. They would enjoy the experience of the unique, divine scent!